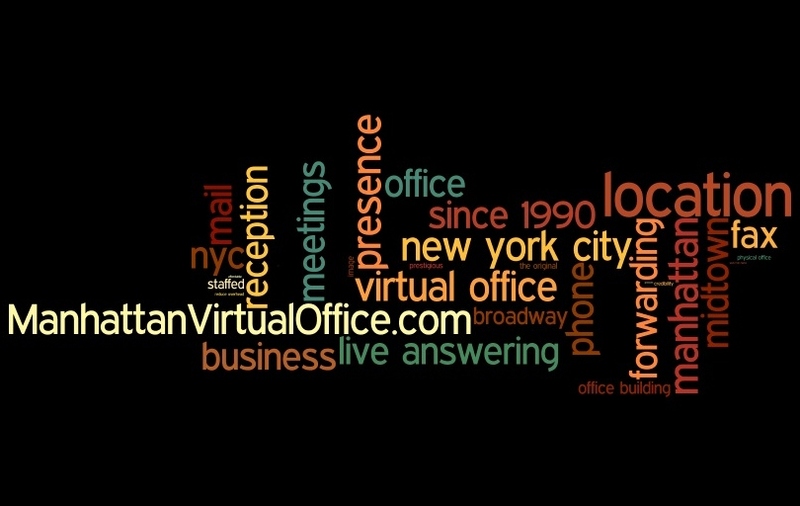 A NY Virtual Office is a Smart Way to do Business! Need a prime Manhattan business address? Need a business presence set up overnight? Need phone systems, mail services, fax services, and meeting rooms available the following business day? Whether you are a business owner looking to grow your business, or you are working on a beach in the Caribbean and need to get this setup right away, a virtual office is exactly what you need. A virtual office space can be setup within a few business hours and be ready for business the following day. You can be anywhere in the world and conduct business from your virtual office as if you were there. No more running around trying to figure out how you are going to land a specific client in a certain market that requires you to have a business address in midtown Manhattan. A simple phone call or an online chat can have your virtual office set up to your specifications which will allow you to conduct business as usual, except you are somewhere else in the world. This is very important for people who are landing new clients, are on vacation, or business owners that need to take a cost-effective approach to growing their business. Virtual offices are becoming extremely popular and because of this they simply make sense. There really isn’t anything you can’t do with a virtual office space! * Do you need a real physical address? * Do you need to have a phone service? * Do you need to receive documents, express mail, or packages? * Do you need voice-mail or call forwarding? * Do you need to visit with clients at your midtown Manhattan address? * Do you need a private and quiet place to work on occasion? These are only some of the benefits you will have available to you when setting up your virtual office. But, the benefits don’t stop there! What if you don’t need all these services, all of the time? You have the ability to use the services you need, when you need them. You can turn on or turn off the services as you see fit. You have to realize, you can’t do that when you rent an office space and have a phone service turned on. This gives you the freedom to start off with what it is you need, and add other items as you find it necessary. A virtual office space is a practical alternative to what is being offered today when it comes to growing your business or handling your business from a beach in the Bahamas or the French Riviera. These tools are available to you, and they are available at a fraction of what it could cost even sharing an office with another company at a midtown Manhattan address. Technology today allows people to do business right from the comfort of their own homes, why not take it a step further and run your business from anywhere? Manhattan virtual offices are available at a very low-cost and will provide you with something many other businesses don’t have and that is very little overhead, and a really smart way to do business. You can conduct real business anywhere without actually being there. You can have customers or clients in any locale you want. You can expand your growing business without much cost. Those are some of the benefits of a virtual office. A virtual office is much like a real office. A virtual office can be reached by phone, documents can be faxed to it, email can be sent to it and mail and packages can be sent to it. A secretary or receptionist will take calls, documents and packages and route them to you. The difference, you don’t actually rent or own the place. You don’t have real staff to pay for and worry about. A virtual office offers a virtual presence of your business in most states or other countries. It provides you with a localized phone number and fax number, localized address for mail and packages, staff to attend to calls, packages and faxes and a temporary meeting room and office space for face-to-face meetings and conferences. Having a localized office say, in New York, means that New York clients will seek your services even if you and your business are in Pittsburgh. Potential clients elsewhere will also tend to seek your services because your New York presence makes it appear that your business is bigger than it actually is. Through modern communications technology, real business can be conducted anywhere while having coffee in your home office.